McCue is based in Vancouver, BC. 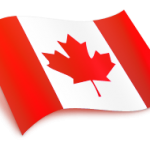 We work with engineering consultants, industry, and private and public landowners all across Canada and the US. Chris McCue, AScT started McCue in July 2000. Before that he worked in the private and government sectors as a remediation consultant. McCue is co-owned by Lynda Smithard, PEng who joined the company in 2008 after a career in engineering consulting. McCue is an industry award-winning company. Our Health & Safety Program exceeds provincial and territorial safe work regulations and health and safety is an integral part of our culture. McCue’s team consists of engineers and technicians with relevant education, training and experience in water treatment and brownfield remediation. We understand the perspectives of both consultants and contractors, because we have taken on both roles ourselves. We Design and then Build, Operate and Maintain the systems we have engineered. We bridge the gap between engineering design and construction know-how. McCue’s KPU Alumni were recently featured on Joy TV’s Fraser Focus. Filming took place at our Delta office & manufacturing facility and at Kwantlen Polytechnic University’s Langley campus. The segment featured our graduates and existing students of KPU’s Environmental Protection Technology program. McCue fabricates systems in our Metro Vancouver warehouse. We also complete all on-site construction and system installation works ourselves, including related earthworks, pipeworks, electrical and sewer connections. 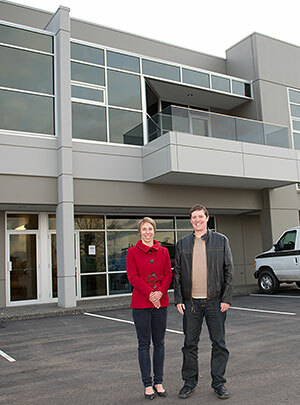 Chris McCue and Lynda Smithard, owners of McCue Engineering Contractors.